A new Tel Aviv University study suggests that the genetic profiles of two extinct mammals with African ancestry—woolly mammoths, elephant-like animals that evolved in the arctic peninsula of Eurasia around 600,000 years ago, and Neanderthals, highly skilled early humans who evolved in Europe around 400,000 years ago—shared molecular characteristics of adaptation to cold environments. 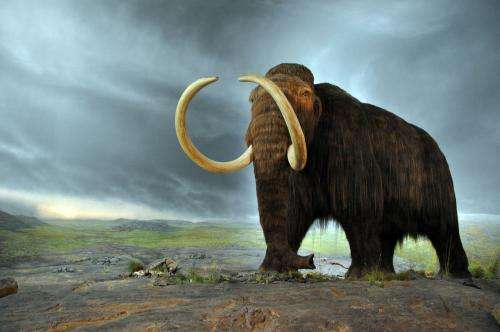 To assess the degree of resemblance between mammoth and Neanderthal genetic components, the archaeologists reviewed three case studies of relevant gene variants and alleles—alternative forms of a gene that arise by mutation and are found at the same place on a chromosome—associated with cold-climate adaptation found in the genomes of both woolly mammoths and Neanderthals. And no doubt they also shared seasonal reproduction. The further north a species resides, the more seasonal its reproduction becomes. Mammoth reproduction was undoubtedly seasonal. This probably explains why neanderthal was wiped out by tropical cromags who could populate and replace battle losses faster than neanderthal.